Red with rage, that is how I feel about Brazilian pepper trees (Schinus terebinthifolius). The best thing that I can say about them is that they respond quickly to herbicide treatments. More than 740,000 acres south of Lake Okeechobee are invaded by this poison ivy (Toxicodendron radicans) relative, according to the South Florida Water Management District. 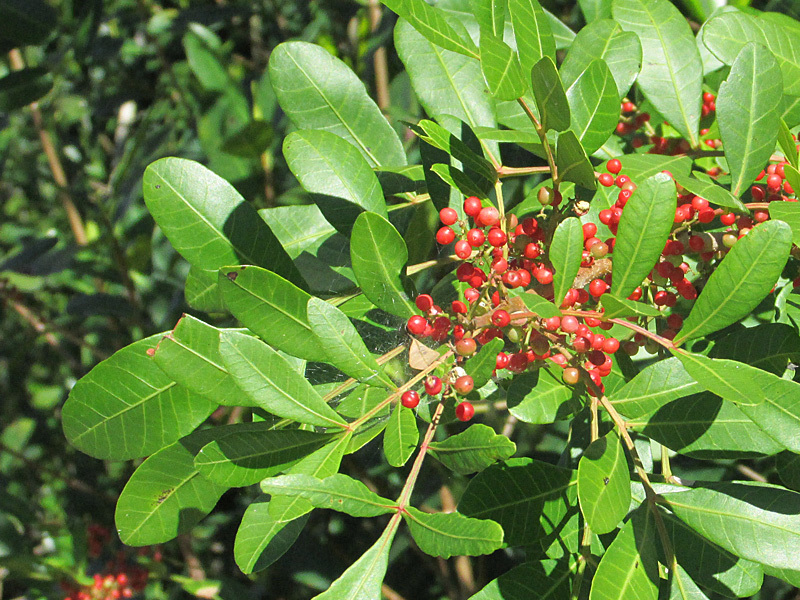 With ‘recent’ warmer temperatures, Brazilian pepper now ranges into northern Volusia County on the east coast and Cedar Key on the west coast. This plant is a poster-child for what can happen in a little over a century with an invasive pest plant. Brazilian pepper and pythons are plethora of invasives featured in a Tine magazine cover story, Invasive Species, Coming Soon to a Habitat Near You. Florida, and especially the Everglades, are poster-children for the ever-growing problems with invasive species. Cedar waxwings, robins, and other migrating birds often feast upon Brazilian pepper berries as they migrate northward. Overindulgence reportedly makes the birds, at least robins, drunk and daffy. All red berries in Florida are not poisonous, as one of our class speakers (who was not invited back) pronounced. 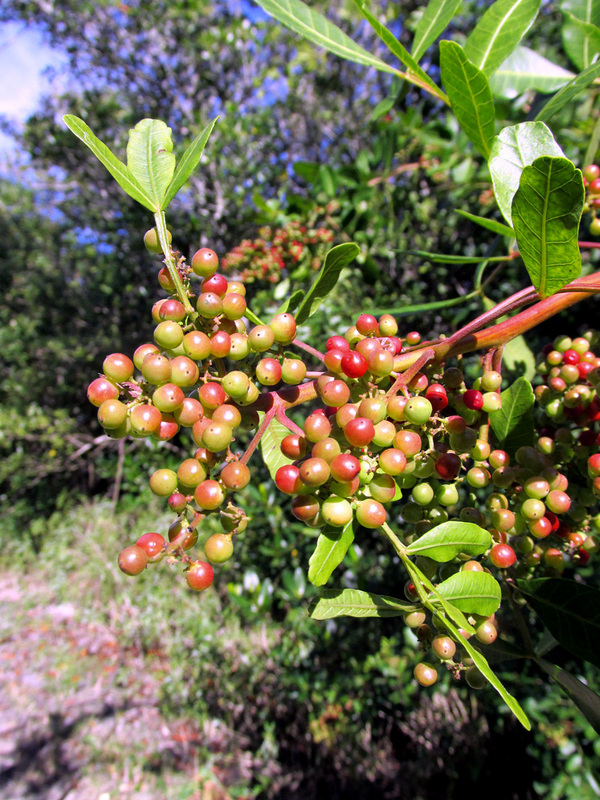 In fact, Brazilian pepper berries are sold as expensive pink peppercorns. Not surprisingly, since this plant belongs to the sumac family, Anacaridaceae, along with cashews, mangoes, and poison ivy, some folks have found that pink peppercorns cause them digestive distress. Kudos and thanks to the Oslo Riverfront Conservation Area Wednesday work team that has methodically dispatched many, many Brazilian pepper. Of course, there are more to come with the spring migration.